When starting a new business, tagline, motto, catchphrase, and image are all important for advertisement. 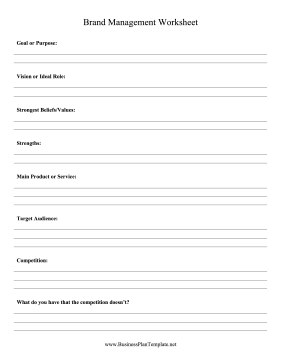 Discover your company's brand with this marketing worksheet. What do you have that the competition doesn•t?